My youngest daughter shares many traits with me. One of which is a great love for candles. We’re so infatuated with them we burn them year-round. I heard someone at the store a few days ago say, “It’s almost candle-burning season.” Since she wasn’t speaking to me, I didn’t respond but I wanted desperately to tell her that “candle-burning season” is January 1 – December 31. At least it is in our family. 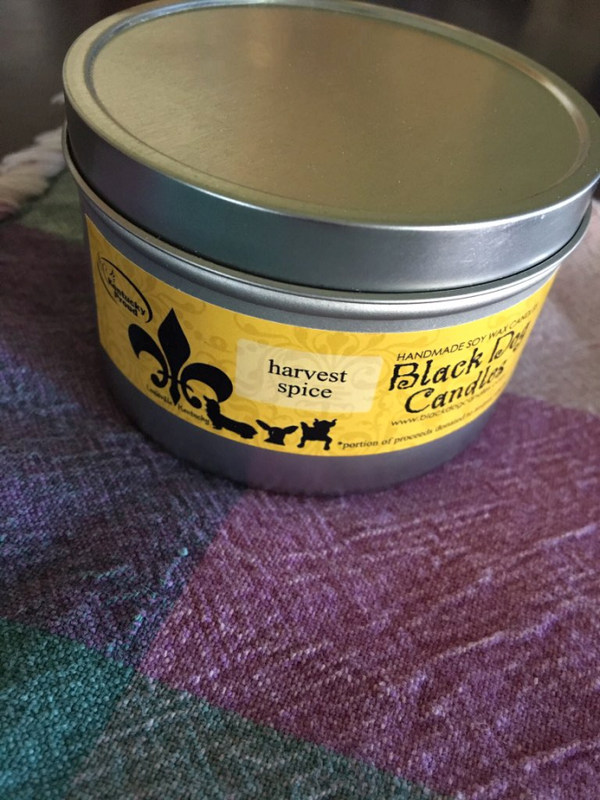 This candle-loving daughter sweetly bought me a new candle a few days ago, A Black Dog Candle – “Harvest Spice” and it has knocked this autumn-loving candle fanatic’s socks off. For one thing, I love the name and image on the tin – precious dogs. 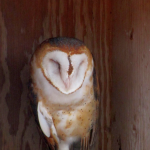 If there’s one thing I love even more than autumn and candles, it’s animals. Is it any wonder I’m so in love with Black Dog Candles?! 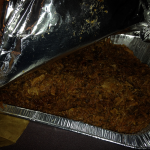 A portion of their proceeds are donated to local animal shelters in the Louisville area. I’m honestly not sure I’ll ever buy another brand of candle (someone send my apologies to Bath & Bodyworks). The Harvest Spice scent is out of this world beautiful. There’s nothing about it that doesn’t scream AUTUMN. Not only is the scent fall-licious, it fills the entire room with its beauty and the scent lasts an especially long time. These are very, very high-quality candles and I can’t say enough good things about them. These candles would make perfect Christmas gifts and they’re pretty much must-haves for all of the holidays. I bought another one at Kroger (on the Kentucky Proud kiosk) yesterday: Christmas Past. I haven’t lit it yet, though I’m dying to. I’m going to see if I can make it at least until after Halloween before trying this one. 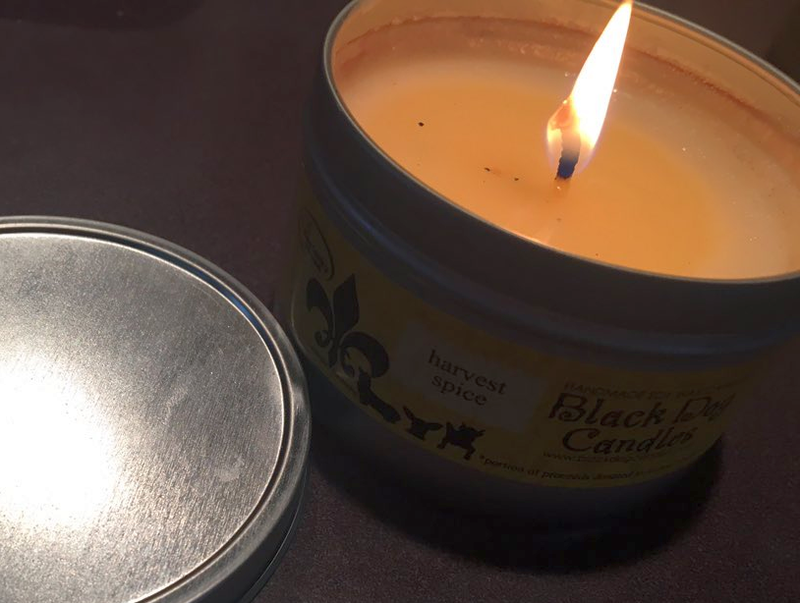 While Black Dog Candles are easier to find if you live in the Louisville area – those of us in the rest of the state aren’t completely out of luck. Not only do Kroger stores sell them, you can also shop online. In fact, you’ll find the full collection online whereas the ones at Kroger are generally seasonal. I’d be remiss if I didn’t step into my pulpit and give a quick reminder to everyone to Shop Kentucky as often as possible. 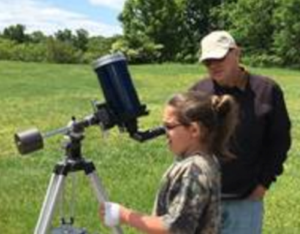 Not only is there a lot to be said for supporting our neighbors, Kentuckians are simply brilliant at what they do. Products that carry the Kentucky Proud logo are in a league of their own. Next time you’re in your favorite Kroger, head for the Kentucky kiosk and find at least one product to carry home with you. As is the case with Black Dog Candles, you’re likely to find a new obsession that you wondered how in the world you ever lived without! 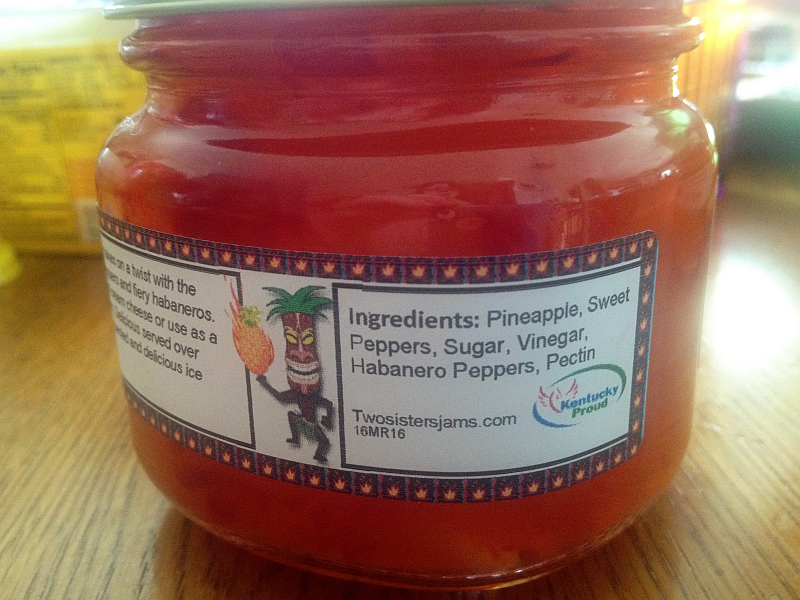 As I said in my most recent review of Two Sisters Jams, I’ll be doing different varieties/flavors over the coming days. 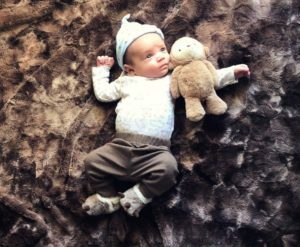 Each is so darn good, they warrant their own post and their own moment in the spotlight. 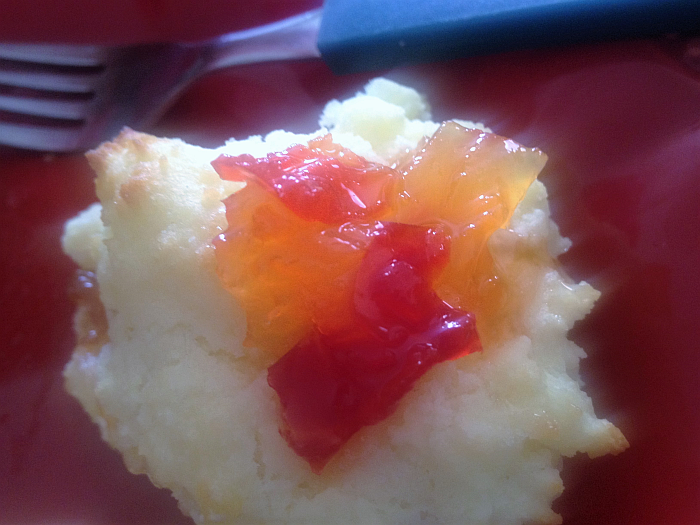 Today’s moment belongs to Two Sisters Strawberry Rhubarb Jam. 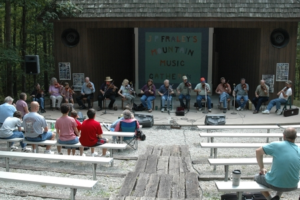 Two Sisters Jams are based right here in Kentucky. Buying “Kentucky Proud” foods is something we aren’t just passionate about, we’re borderline obsessed with it. 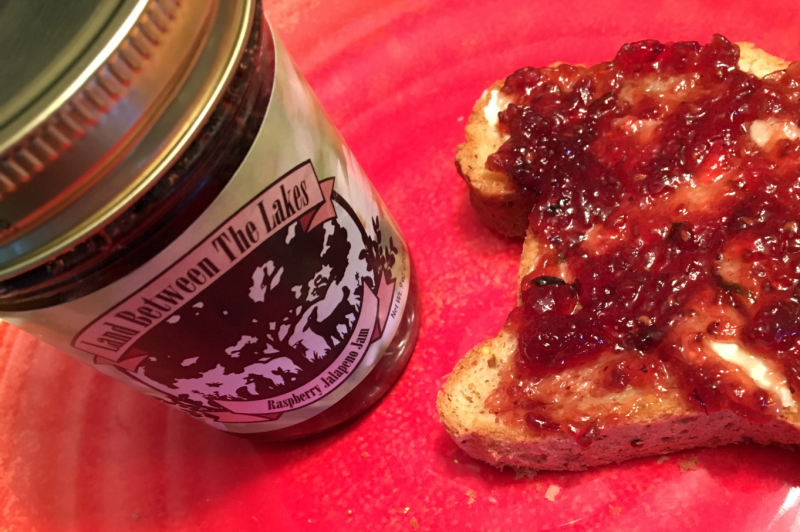 I have to admit something, though – Two Sisters Jams, Jellies and Preserves are so ridiculously delicious, I’d be a fan whether they were made in Kentucky, Tennessee, Indiana, or New York City. One of my favorite jams has always been Strawberry, so this was actually the first jar I opened when I received a beautiful stash of jams. I might or might not have dove right into the deliciousness with a spoon. 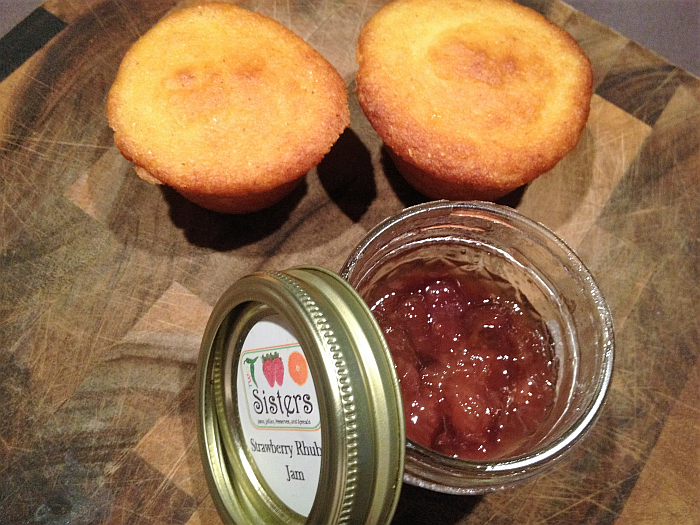 Not only are Two Sisters Jams off the charts delicious, they’re downright beautiful, to boot. Everything about them lets you know they’re homemade and stand heads and shoulders over the rest. Even if you’re normally on the fence when it comes to jams, jellies, and preserves, these sisters will make you suddenly obsessed with them. 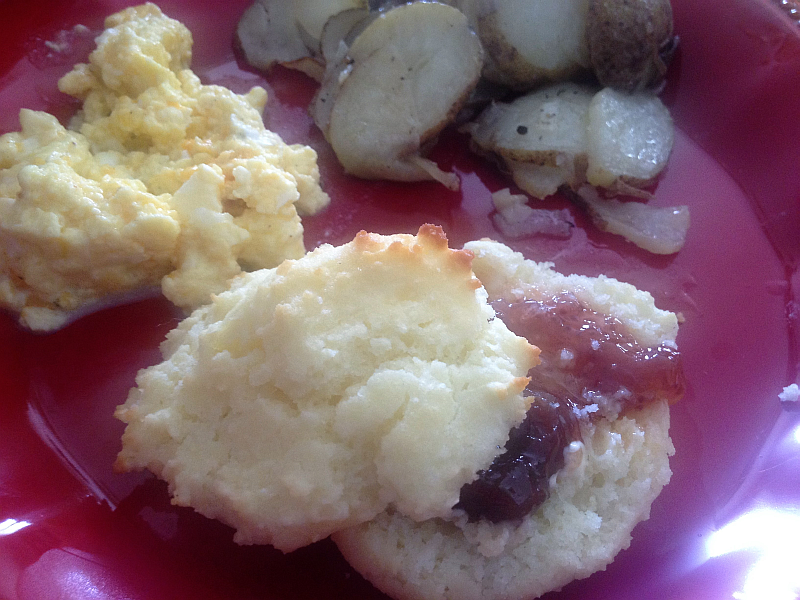 I enjoyed this gorgeous, flavorful jam on biscuits, corn muffins. toast, and, of course, the spoon. 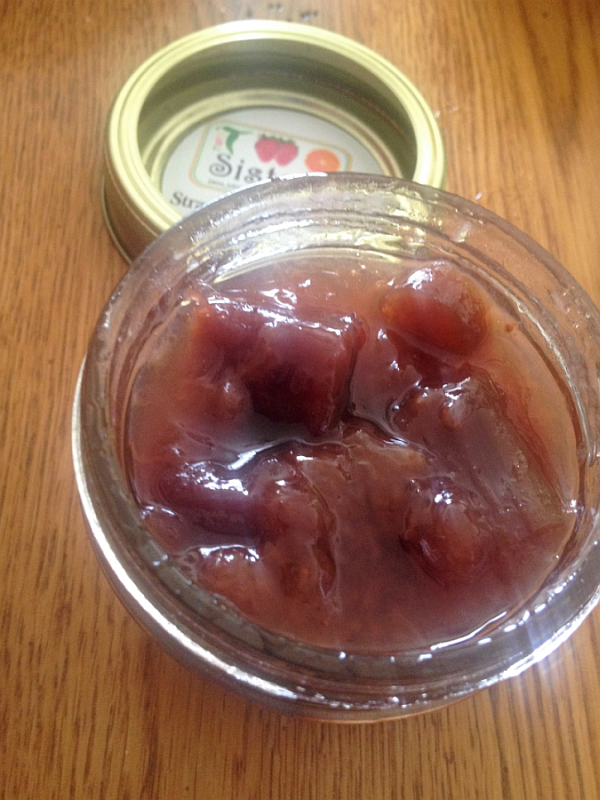 When the jar was nearly empty, I actually put a little applesauce in the jar and – holy cats – it rocked my world. By the way, when you’re on the Two Sisters Website and you’re shopping in the store, be aware that there are three pages. I do not want you to miss any of these beautiful jams, jellies, and preserves. 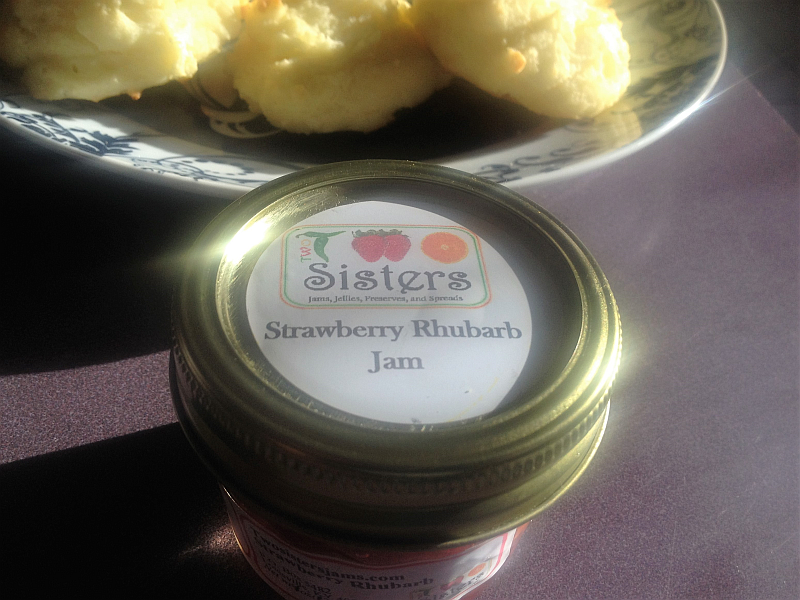 Read more about Two Sisters Strawberry Rhubarb Jam and order some for yourself asap. Have those corn muffins ready! 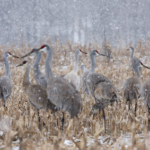 * Just good-natured kidding toward our northern neighbors – we lived in southern Indiana for a few years and loved it. Except during basketball season… not the best place to live when you’re die-hard UK fans! 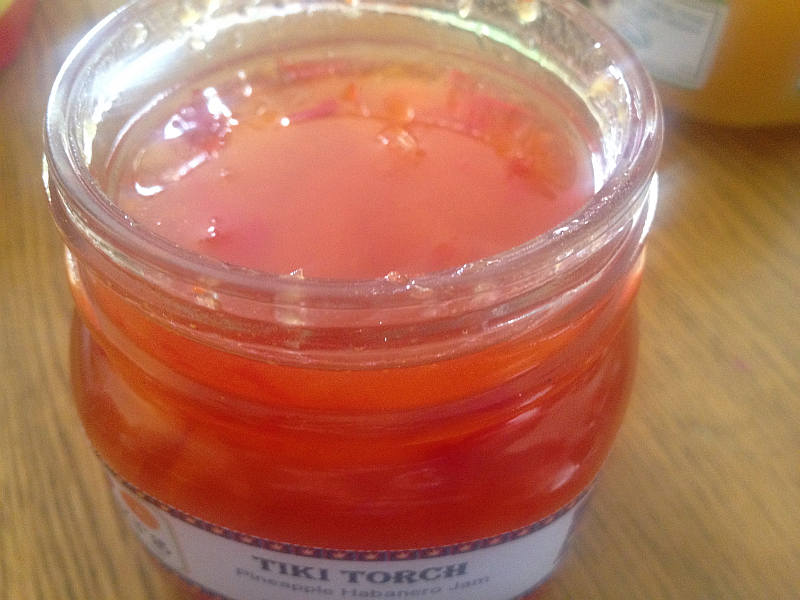 Two Sisters Tiki Torch: Holy Peppers, is This Jam Delicious?!?! If you read the Genuine Kentucky blog regularly, you know how obsessed we are with shopping local, supporting fellow Kentuckians, and with buying Kentucky Proud products. I try (well, I sorta kinda sometimes try) not to get on a soap box too often, but I encourage you to buy Kentucky Proud food and other Kentucky made products as often as possible. 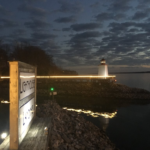 Whether it’s online, in wonderful stores like the Hitching Post (Aurora), or in Kentucky State Park gift shops – keeping your money in the state is just the cool thing to do. 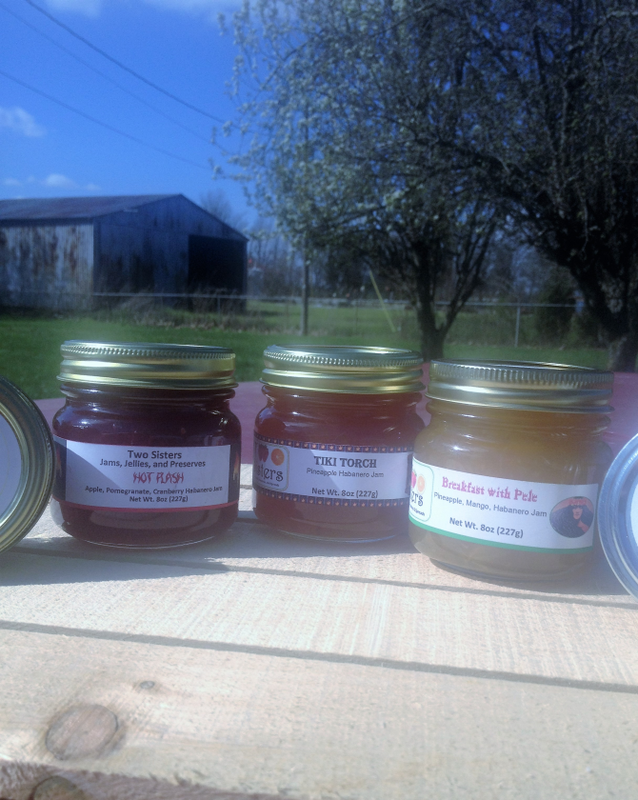 I recently received some AMAZING jams from one of my favorite Kentucky Proud businesses – Two Sisters Jams, Jellies, and Preserves out of Louisville. These ladies make the best jams, jellies, and preserves you’ll find anywhere. I wrote a review of their incredible Cherry Bomb Jam a while back – looking at the pictures makes me drool. It is, to this day, one of my favorite things in the world. I actually found the Cherry Bomb Jam at the Fudge Factory in Grand Rivers. You never know where they’ll turn up! Two Sister’s blends are highly creative and imaginative, their ingredients are natural and wholesome, and everything they touch is otherworldly delicious. Let Midas have his “golden touch,” I’m much more interested in this kind of touch. When I received the jams, I took a group picture (below). I figured I’d write up a post about the jams as a team. It was obvious that, while they do make an incredible team, each individual is an MVJ (most valuable jam) and is worthy of its own post. 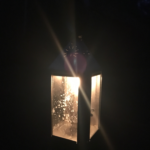 I chose to start with a beauty that fascinates me: Tiki Torch. 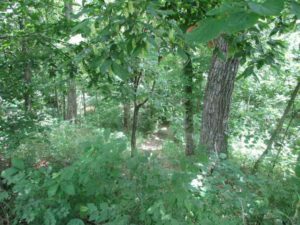 Here’s something you should know about me – I’m a “Sissy Pants” when it comes to a lot of things – snakes, heights, deep water, small enclosures… and spicy food. Normally, when I bite into something hot, my eyes bulge out, I start panting and blowing, and I reach for the nearest glass of iced tea, whether it’s mine or not. I’m a sight, make no mistake about it. Because of this stellar reputation, I wasn’t sure how Tiki Torch and I would get along. I saw the word Habanero on the label and got a little worried. 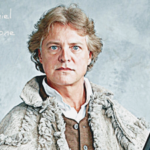 Yet… somehow… we got along famously – as in I could not stay out of it. The heat is there, but the sweetness from the fruit balances it out in such a way that it doesn’t hurt your tongue or even offend it in the slightest. Heat without the hurt. Fascinating! The flavor is something unlike anything I’ve had in any national, store-bought jam. It blows them out of the water, if we’re being honest. It’s utterly delicious – and so darn pretty, too. 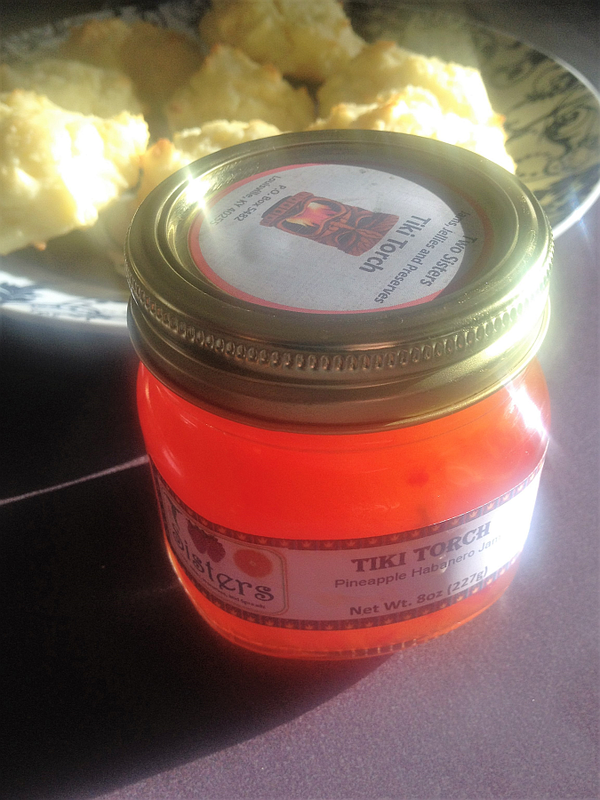 Two Sisters Tiki Torch Jam – Gorgeous! I love Tiki Torch on biscuits, cornbread, and bagels (all gluten free, of course). It’s also a total knock-out when you simply top a block of cream cheese with it and enjoy it with crackers. The combination of the peppers and pineapple is something that will blow your mind – I promise. Tiki Torch is even great with chicken! I made some grilled chicken strips not long ago and I wasn’t satisfied with having Tiki Torch JUST on my biscuit. I figured, why should the bread have all the fun? So I started dipping my chicken in the jam and wow, it was crazy good. I think this jam would be a ridiculously delicious glaze for ham, actually. I’m not sure there’s anything it wouldn’t be great on. 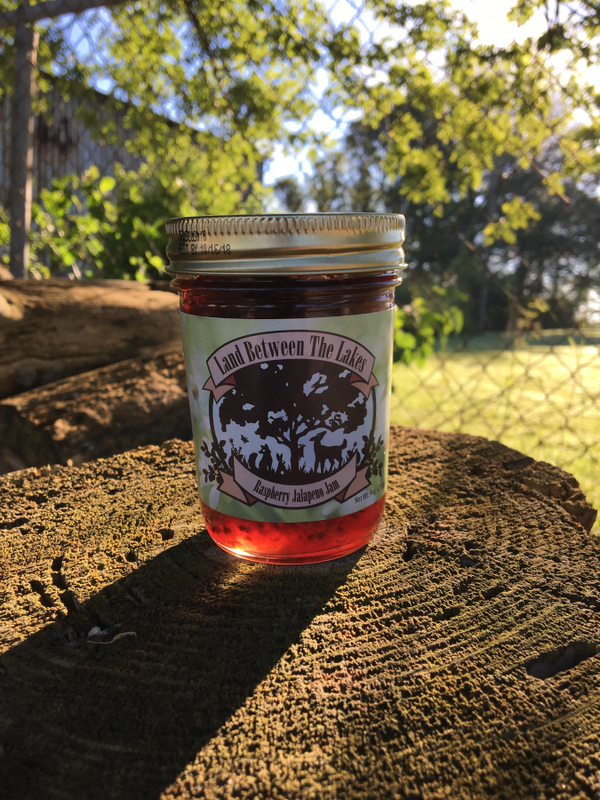 You can find all of Two Sisters Jams, Jellies, and Preserves wonderful Kentucky Proud products on their website: Two Sisters Jams. 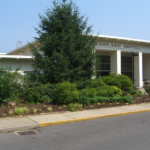 Their online store is filled with delicacies you’ll want to enjoy – just be sure, whatever you do, you include Tiki Torch in your order. It’s phenomenal. Next Up: I’ll have the Two Sisters Strawberry Rhubarb (pictured below) review up tomorrow morning! 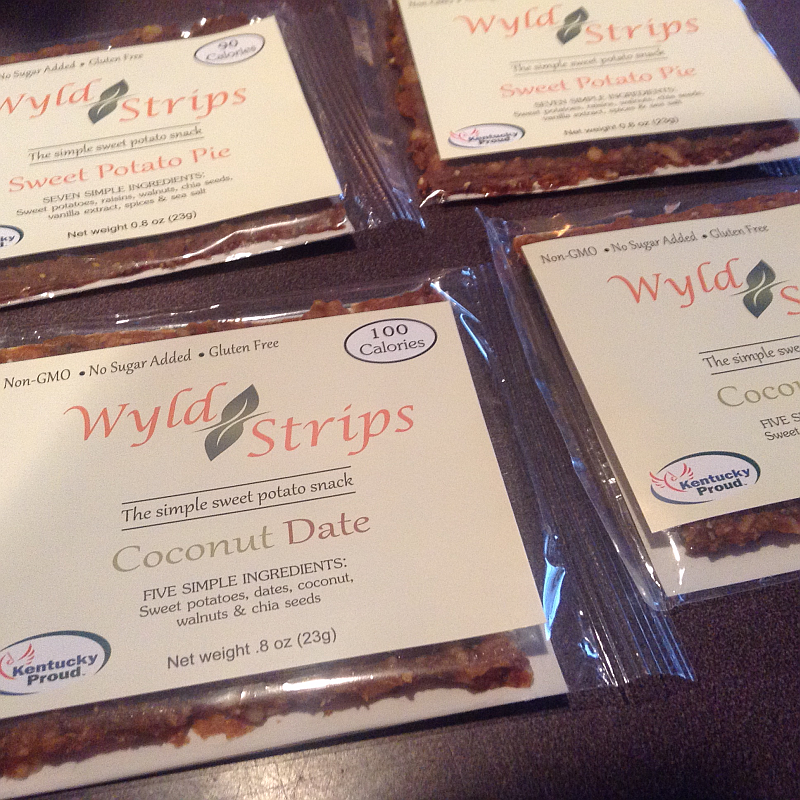 I just wrote a review for Wyld Strips on my food blog. 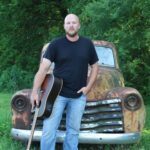 Since this is a Kentucky food, I thought you might want to check it out. If you’re like me, you buy Kentucky Proud products as often as possible. When the food is as delicious as these Wyld Strips, it’s a habit I thoroughly enjoy! Click the link above for my review or go directly to Wyld Strips Website to read more about them.